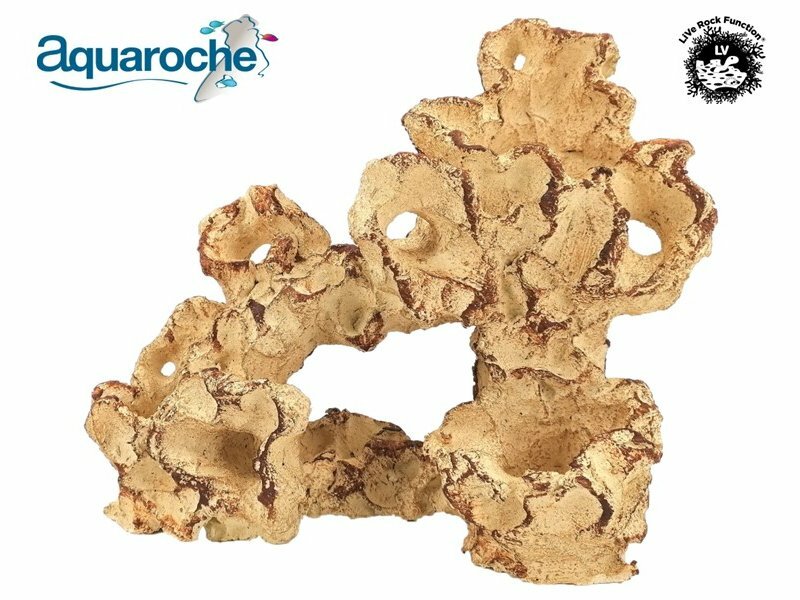 These are grottoes, arches, etc .. ready for use. 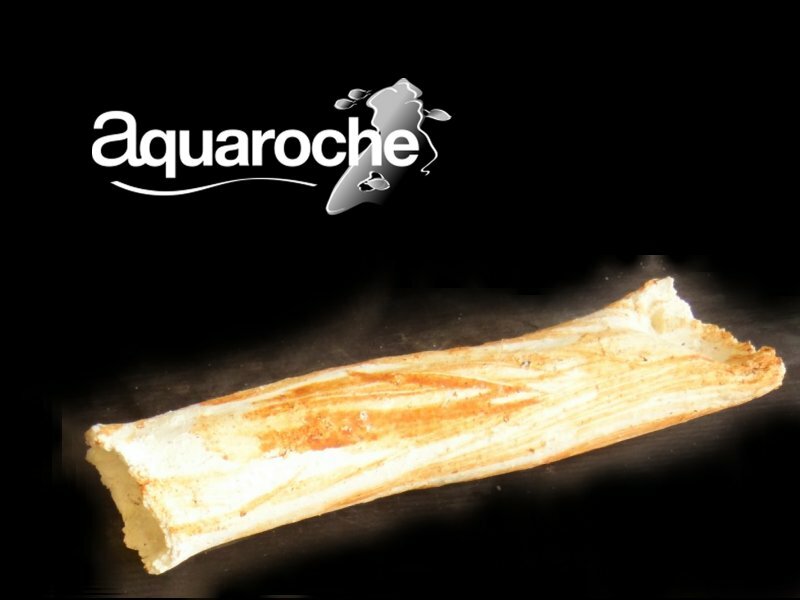 Cream coloured with red veins. 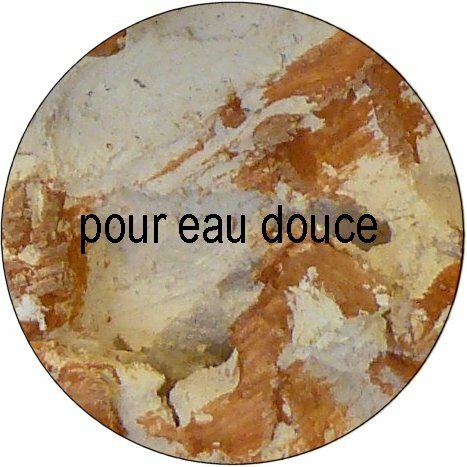 Neutral.. 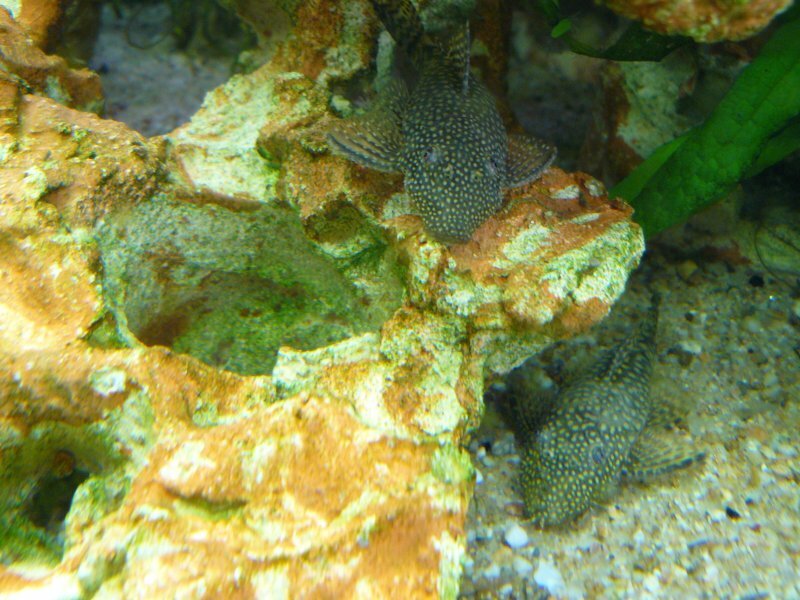 Looking new at the beginning, once they are in the aquariums, within a few months they will develop a matchless patina. 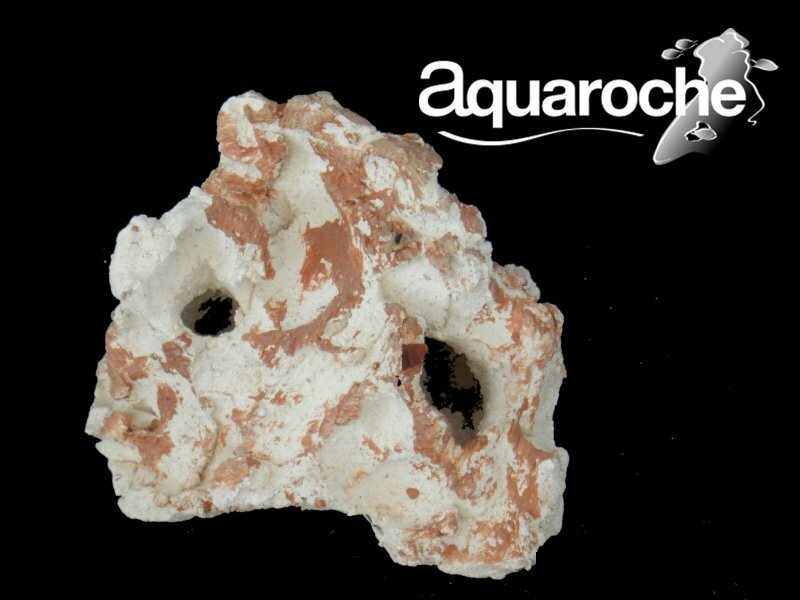 Varied and interesting forms are made to form harmonious groups. 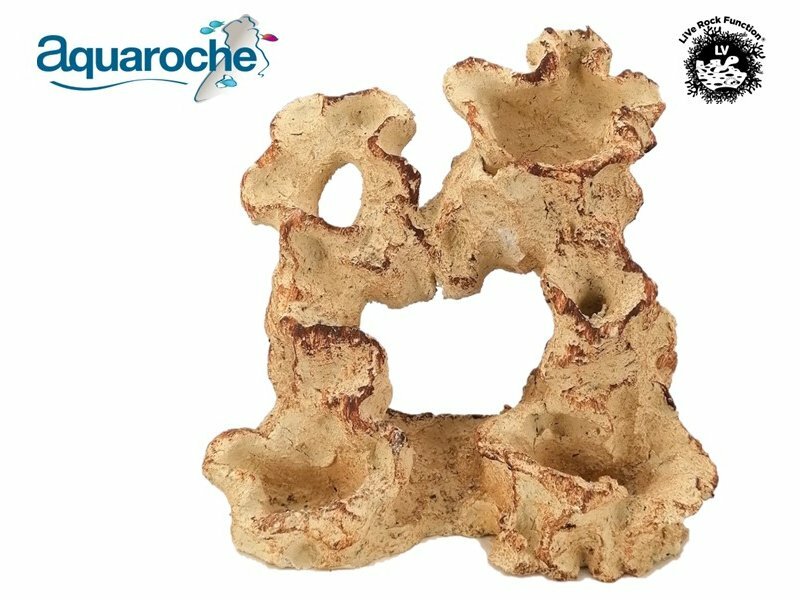 For each design, each piece is unique. 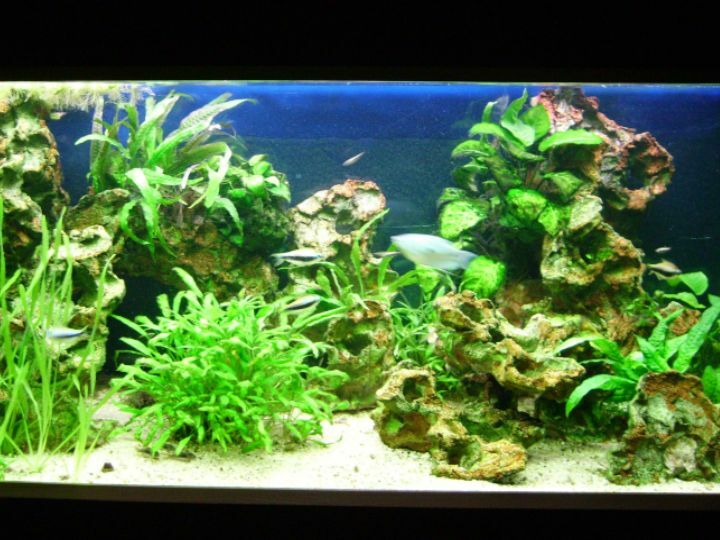 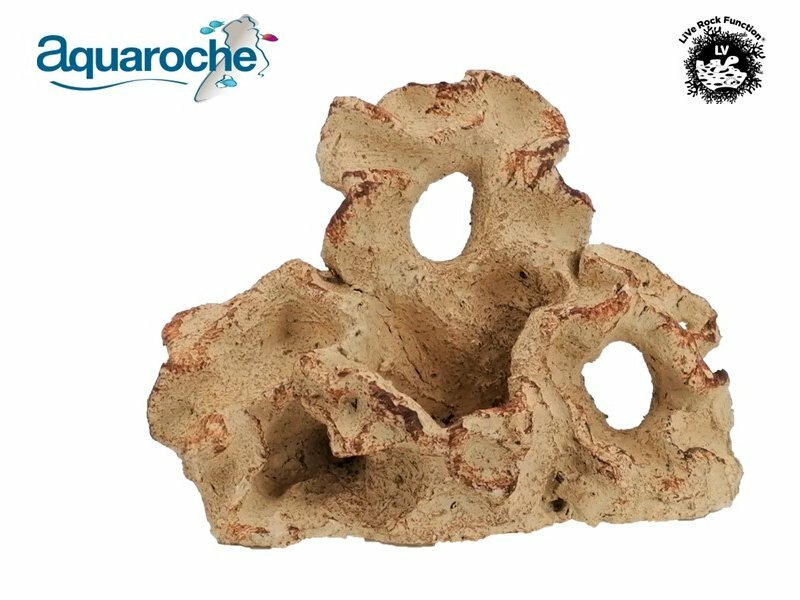 All our decors can now be used in fresh water or in saltwater aquariums. 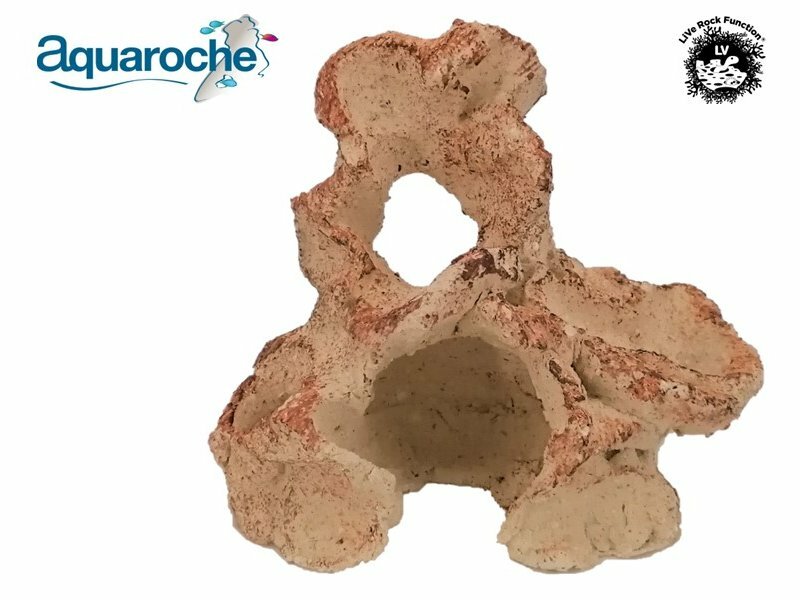 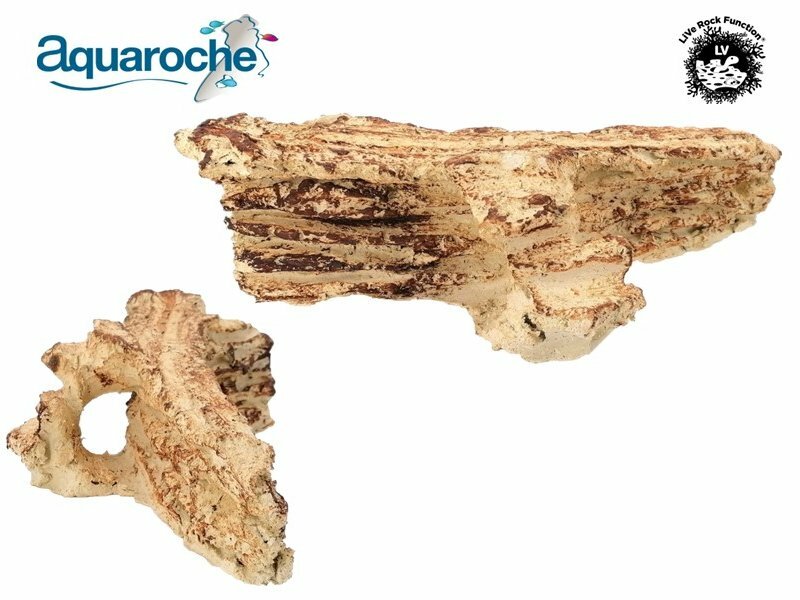 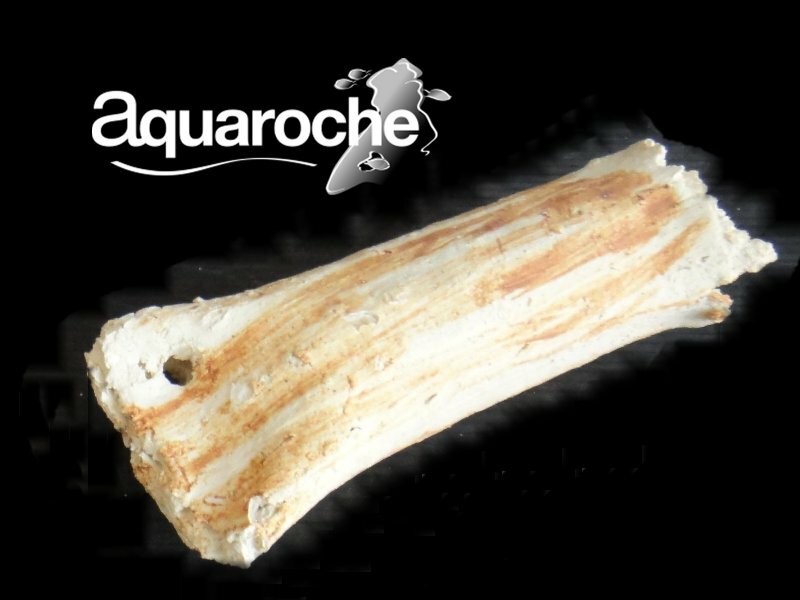 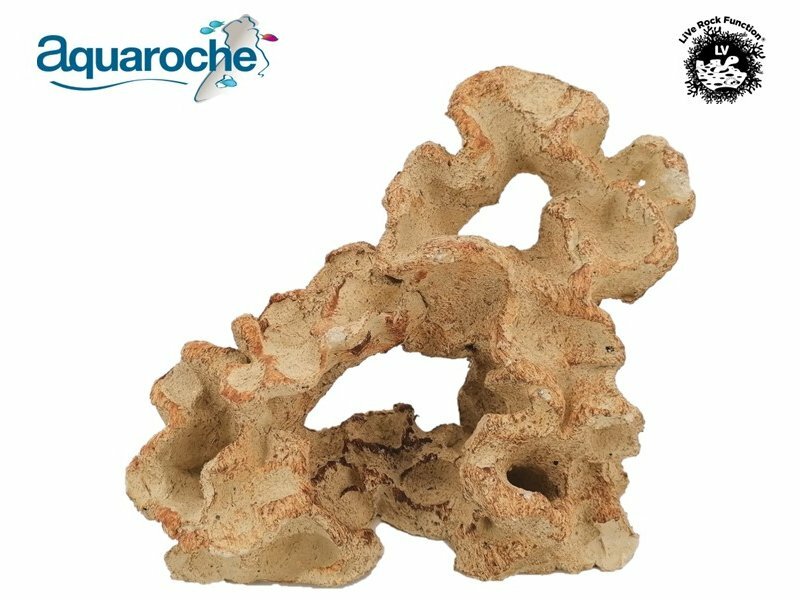 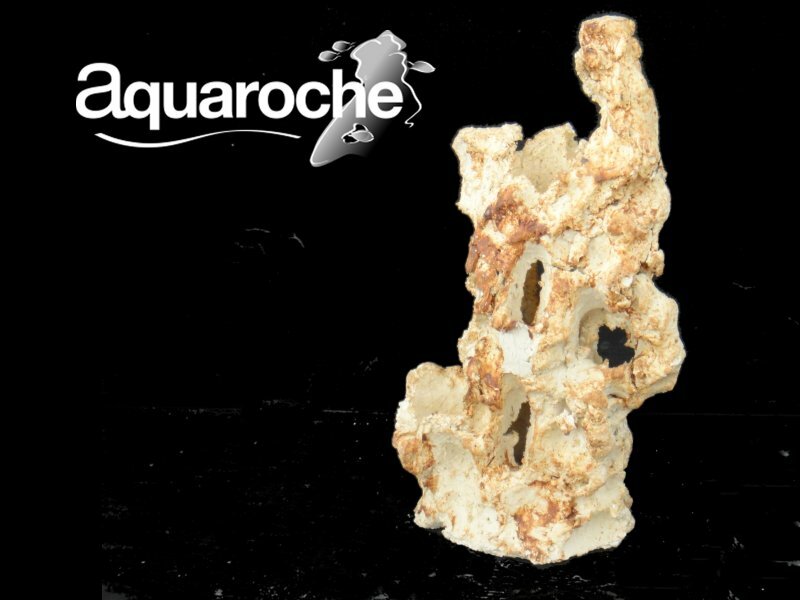 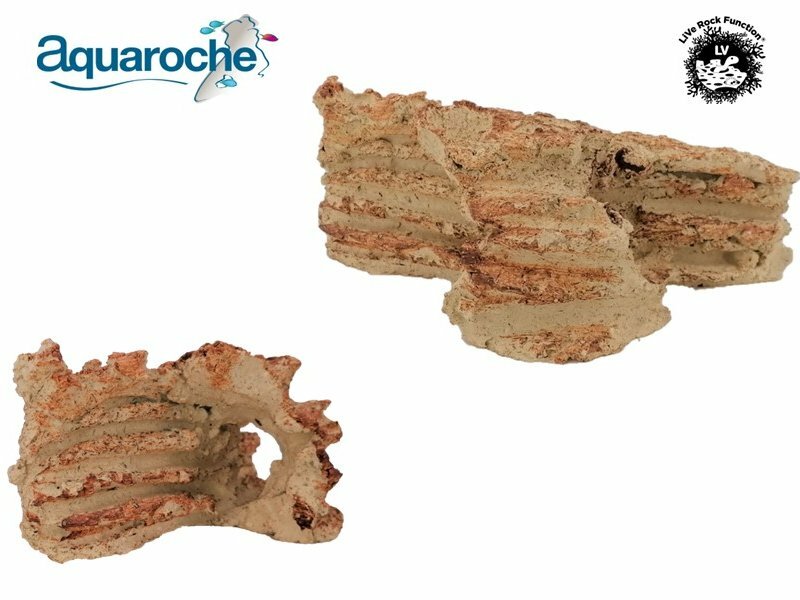 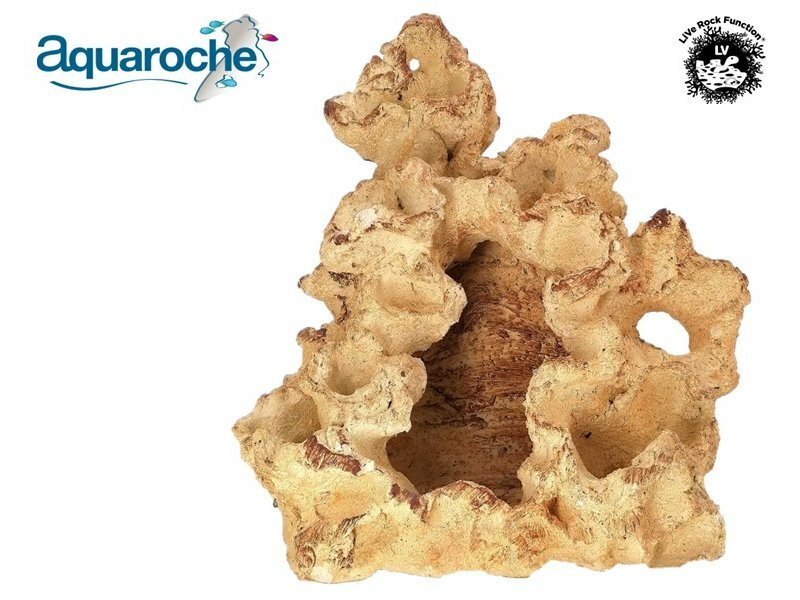 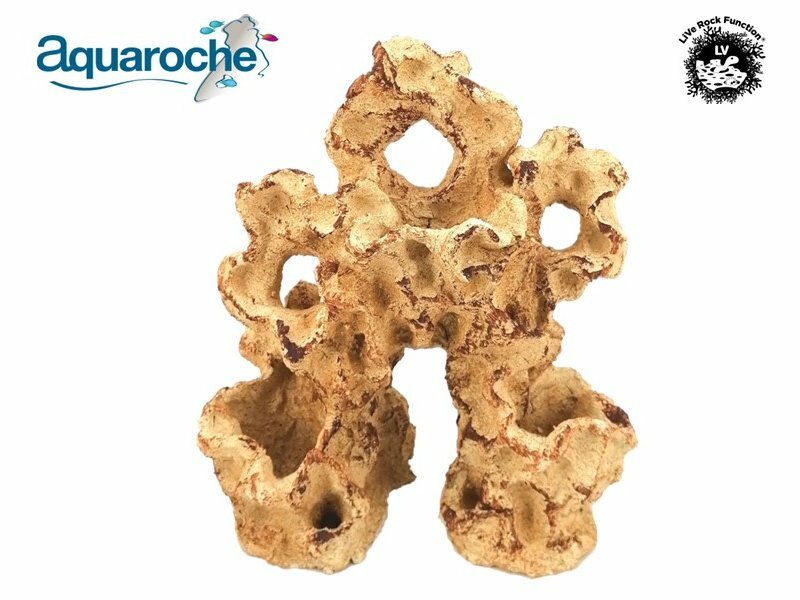 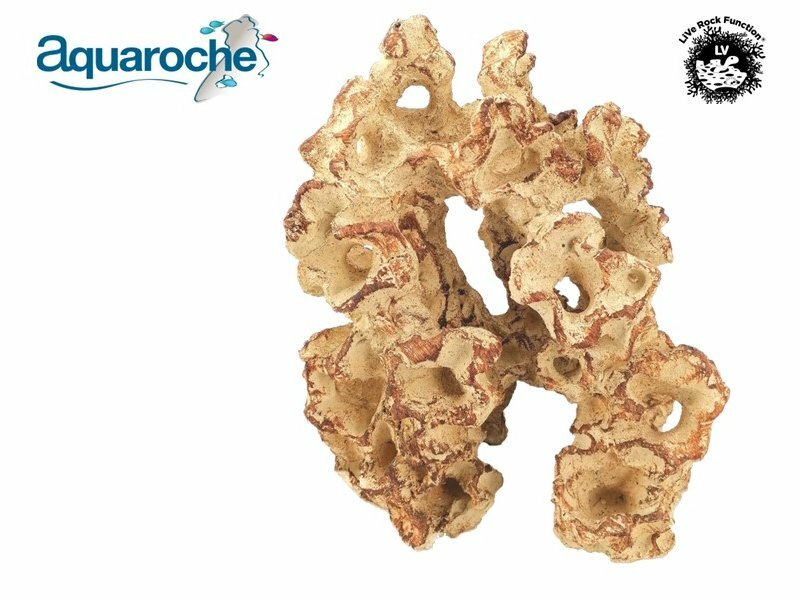 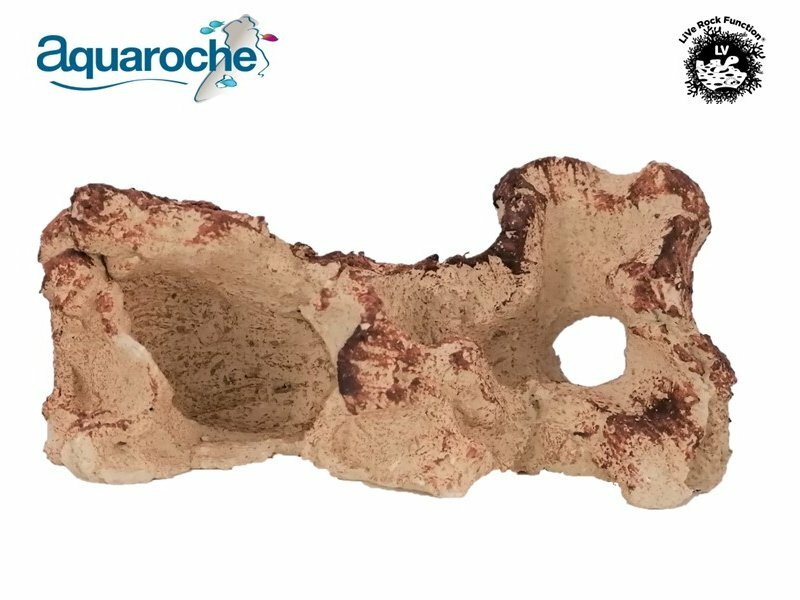 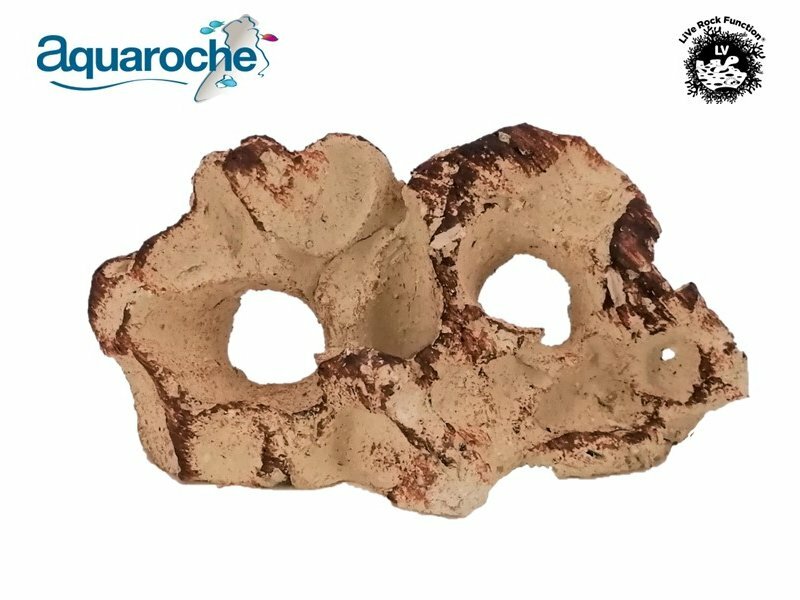 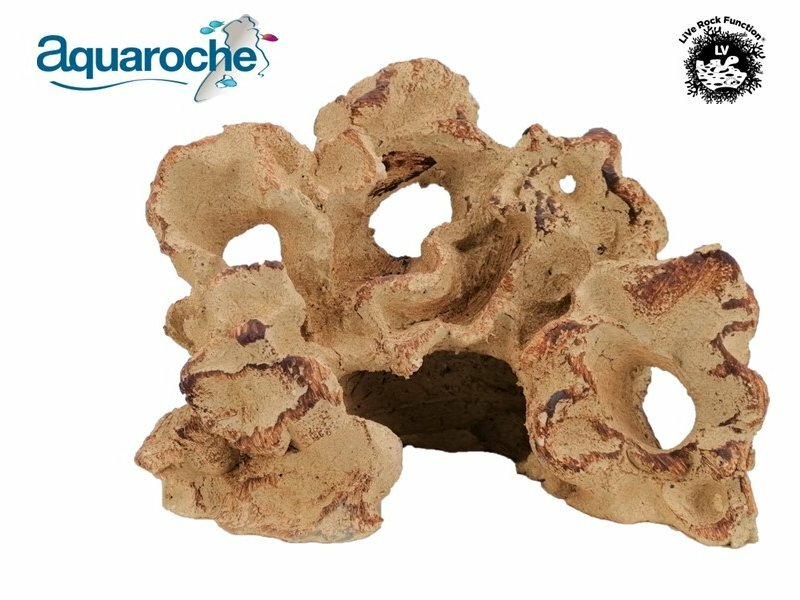 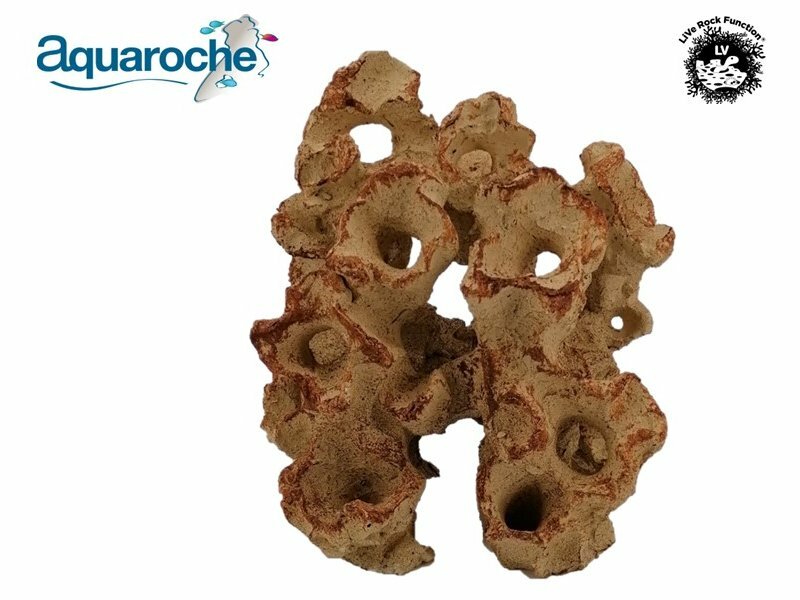 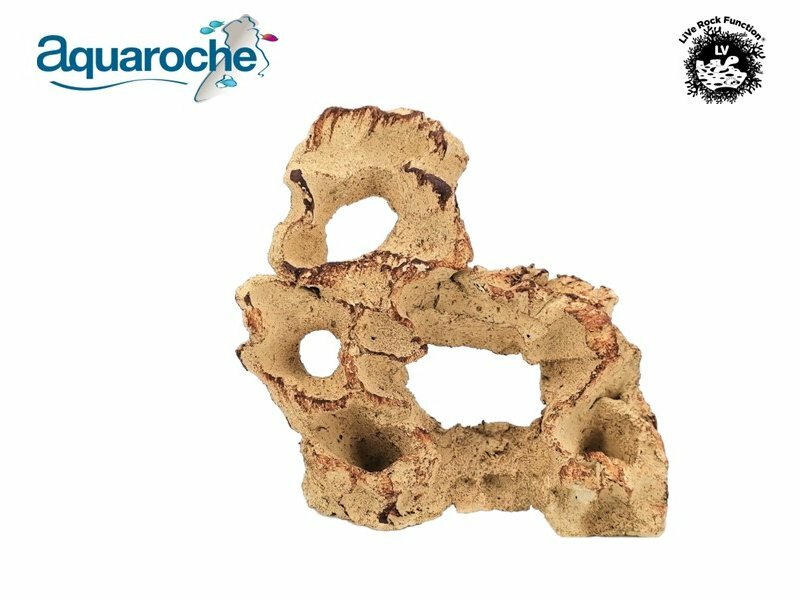 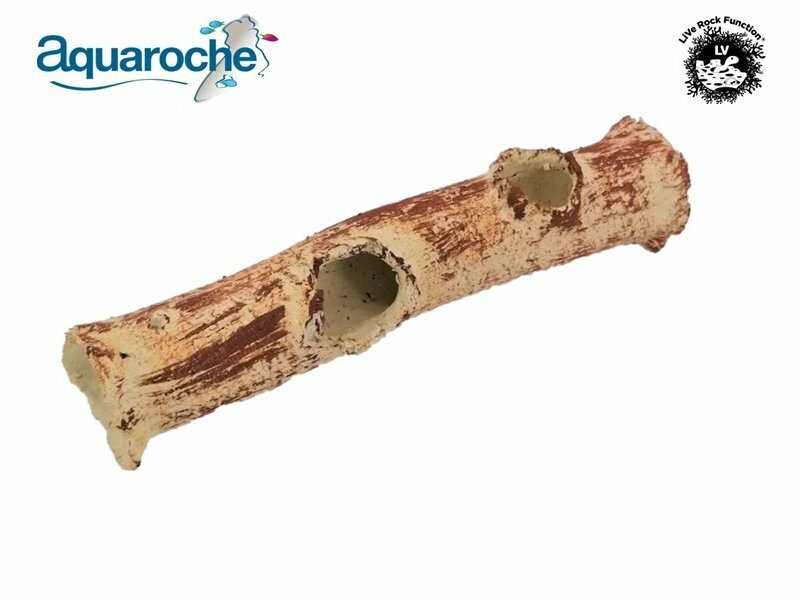 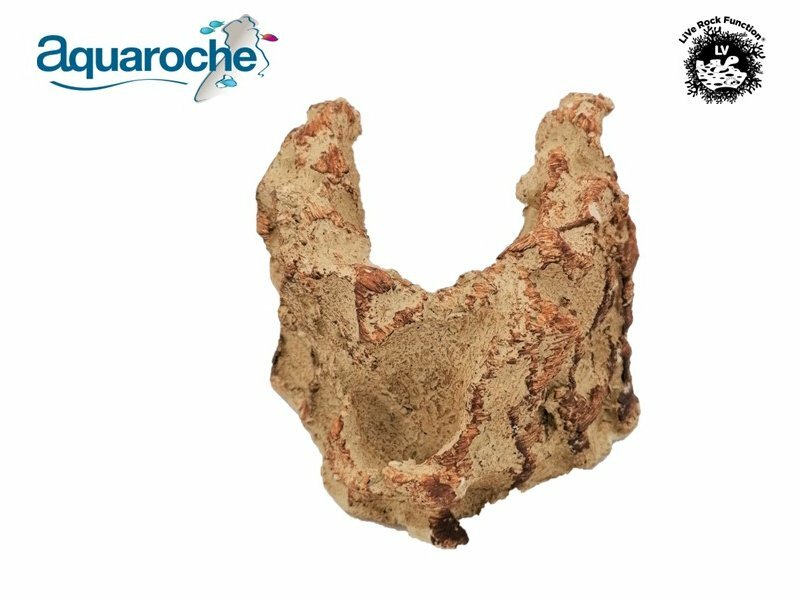 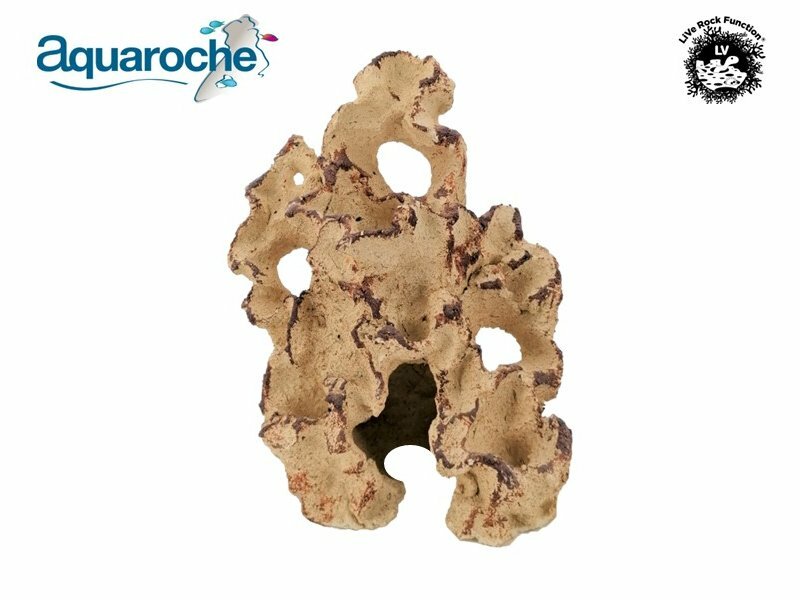 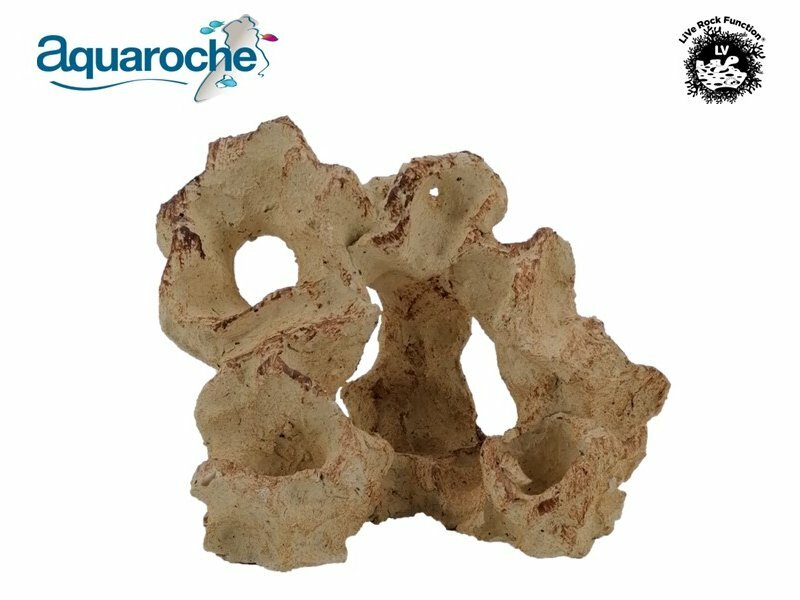 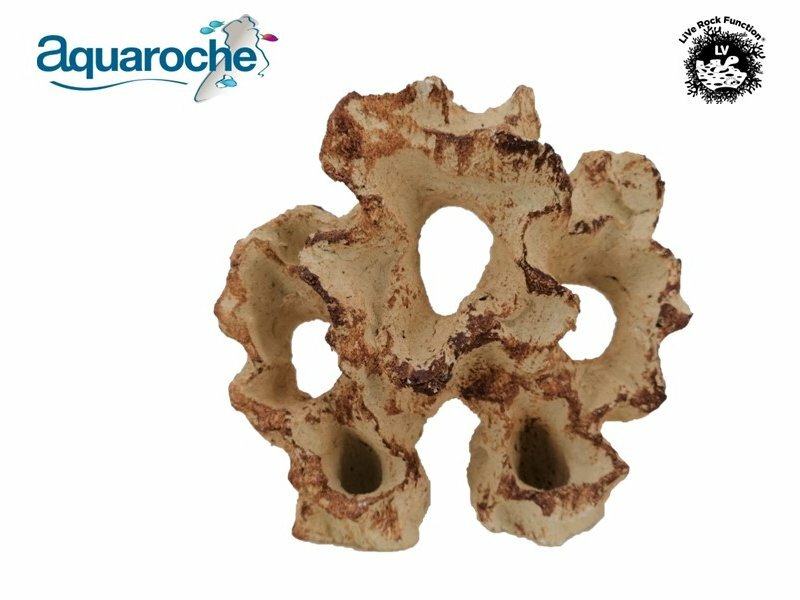 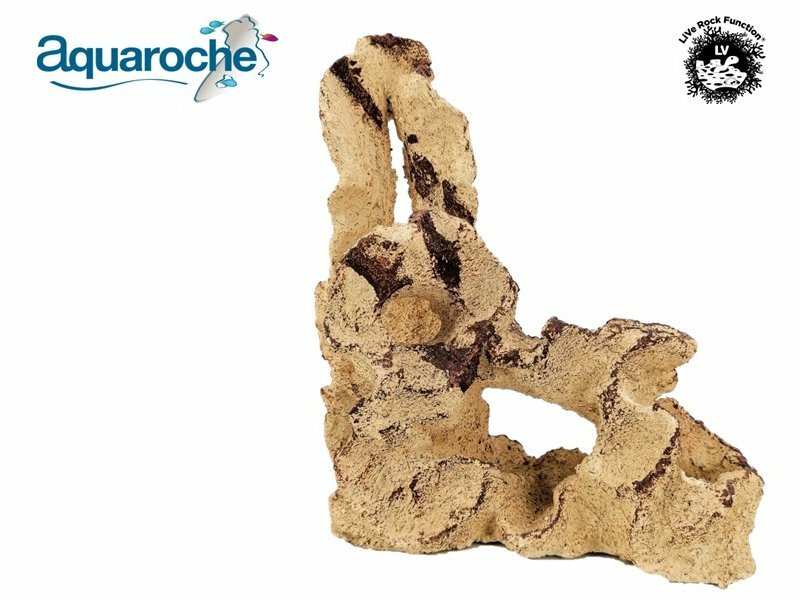 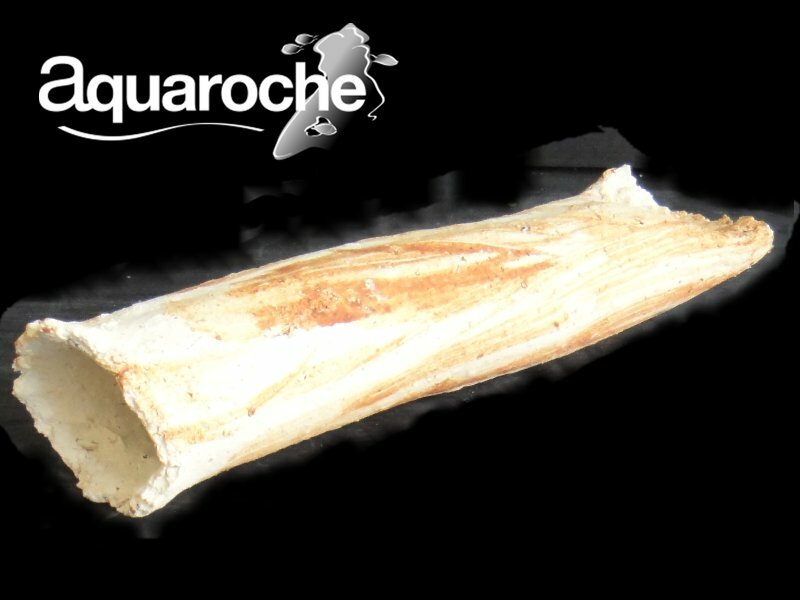 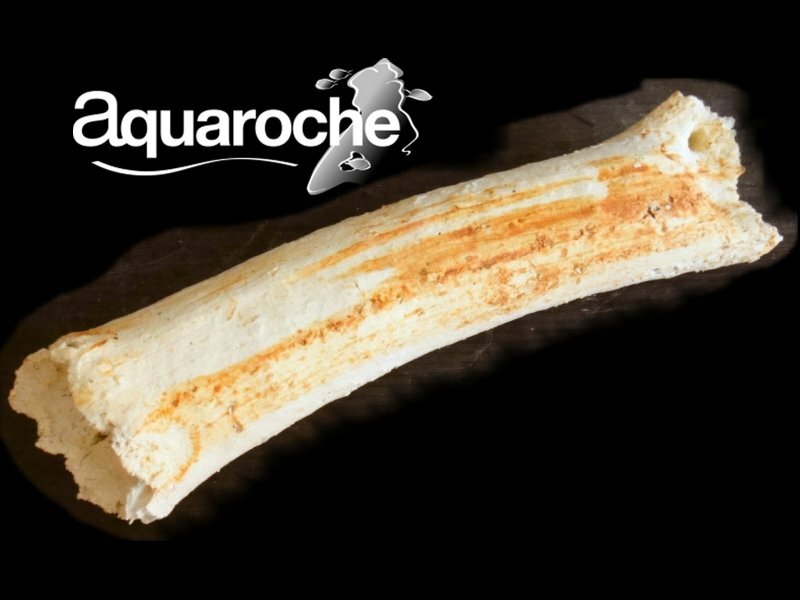 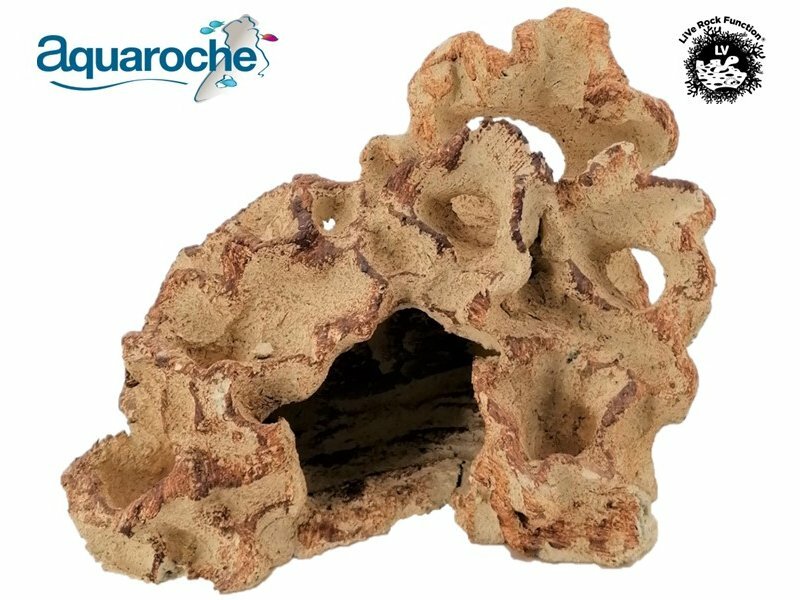 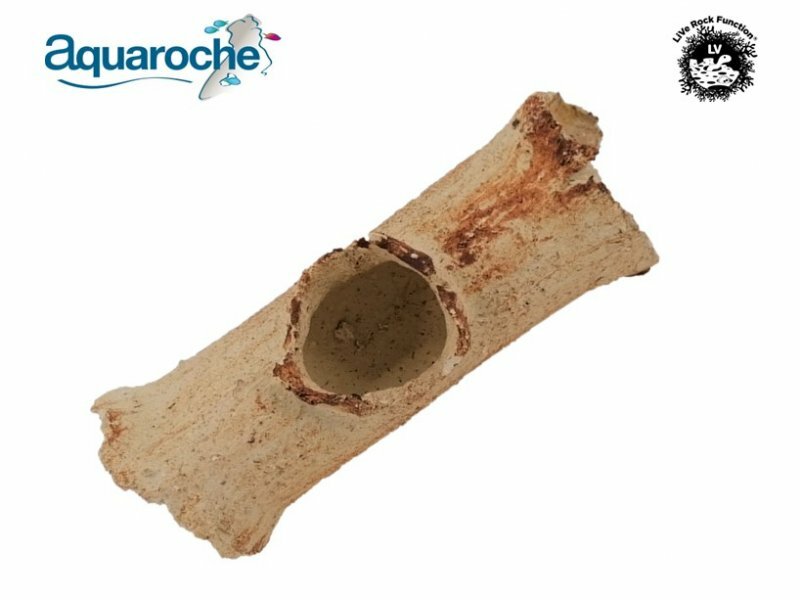 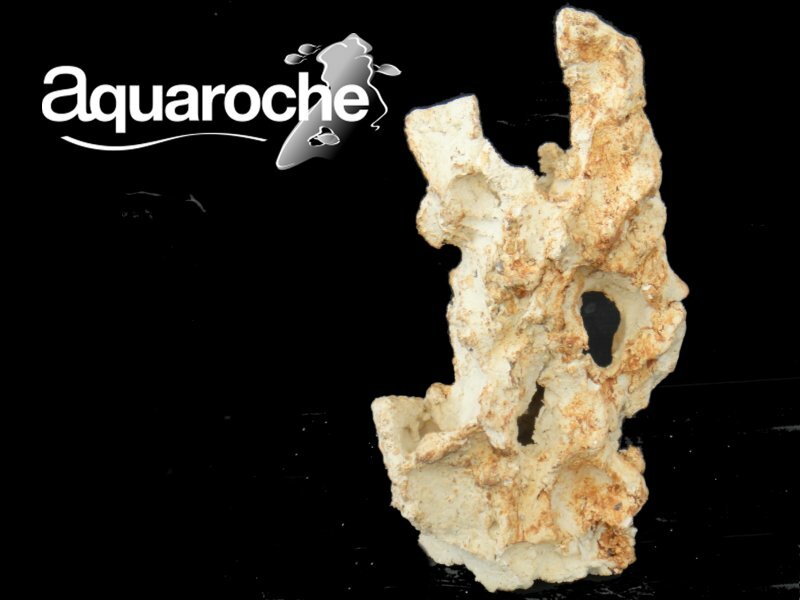 This product, made especially for aquaria out of high quality selected clays, ensure a total neutrality and absence of heavy metals. 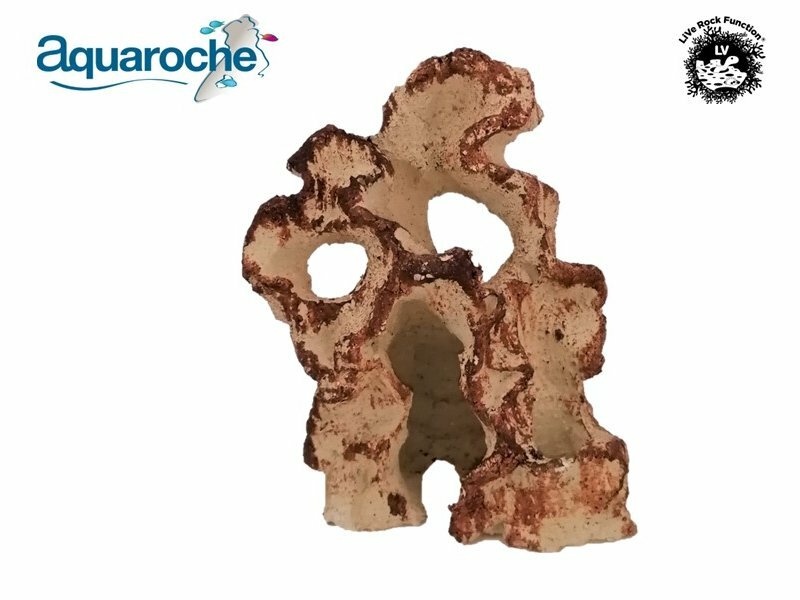 The colours comes, after firing, from the natural colours of the different clays. 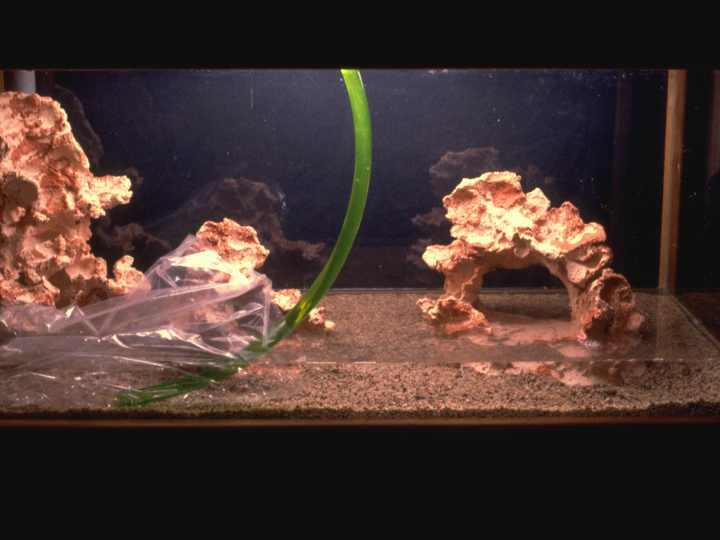 Just rinse and put in the aquarium. 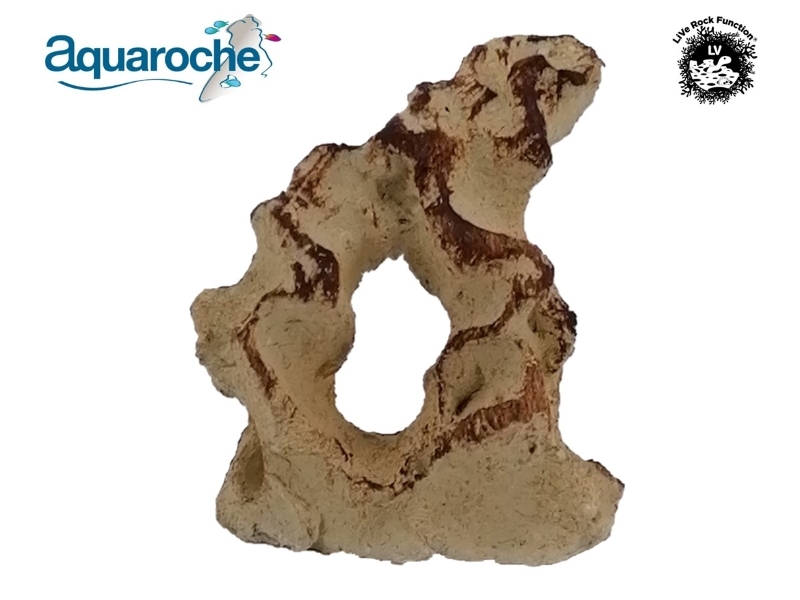 Use the higher rocks on the back, the smallest on the front. 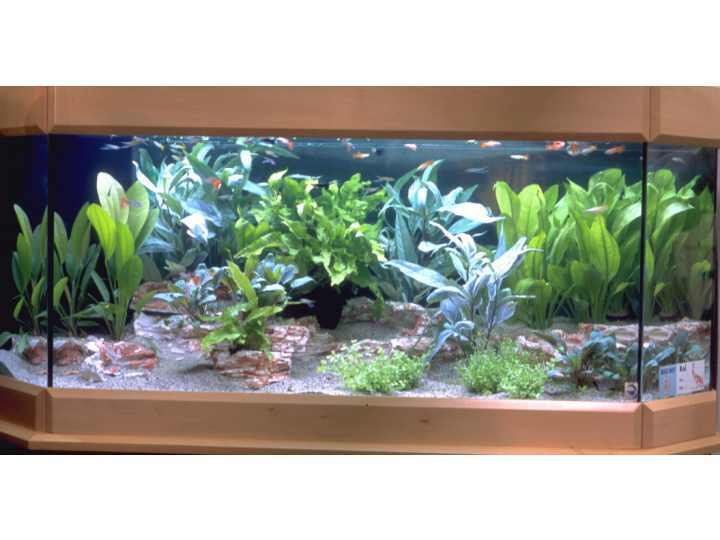 Add plants. 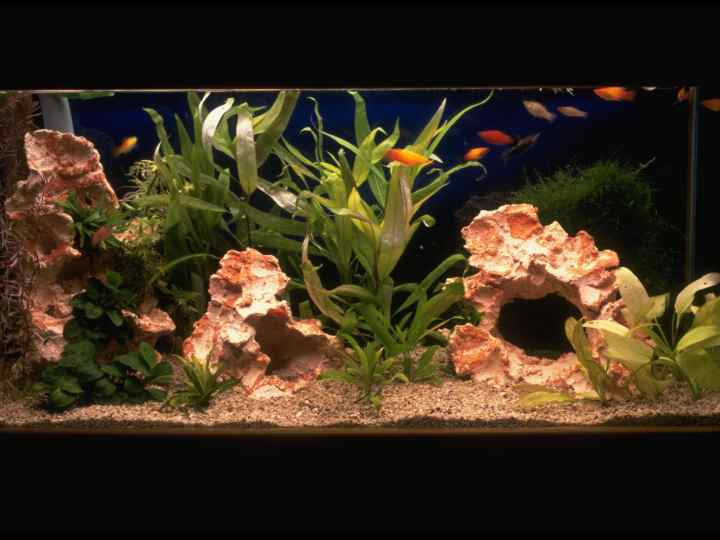 For territorial fish use grottoes and shelters for each pair. 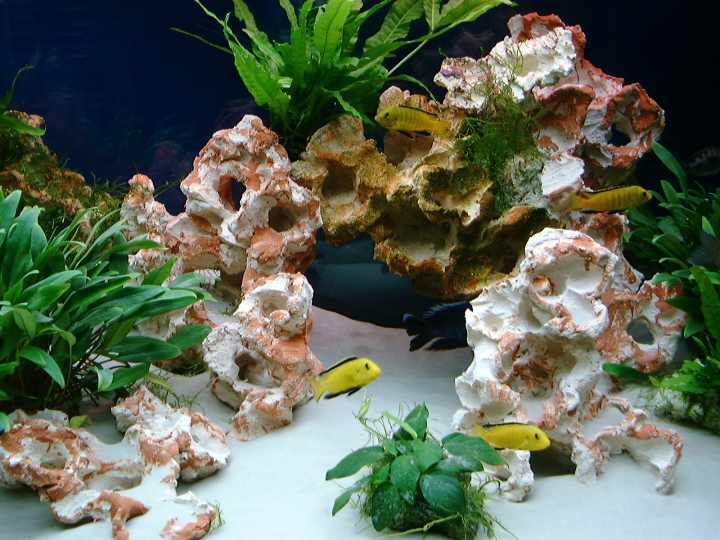 Most rocks have planting areas; plants will bring a touch of green in the middle of mineral colours. 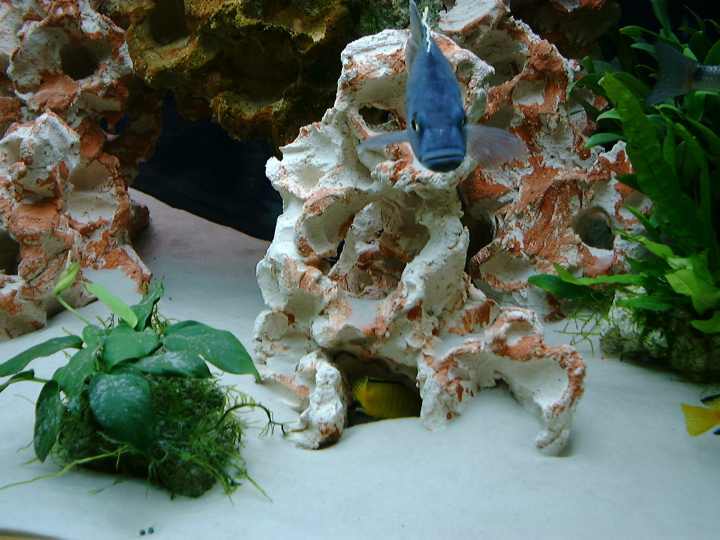 Grottoes, providing fish with territories. 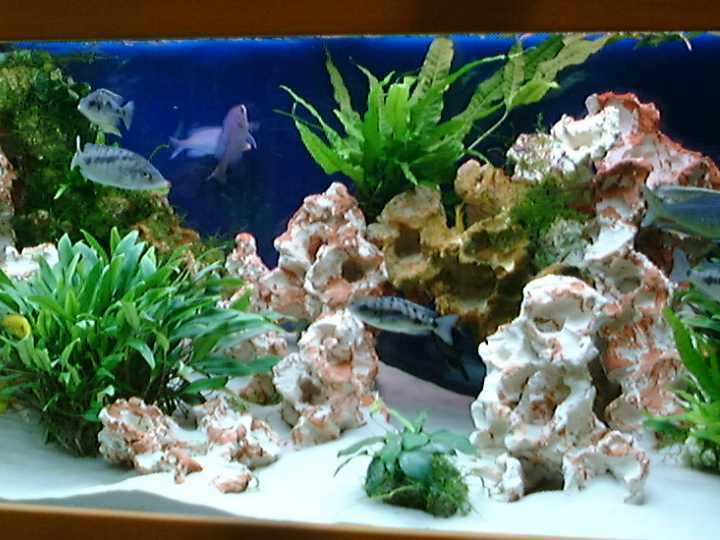 Tall grottoes, providing fish with territories.